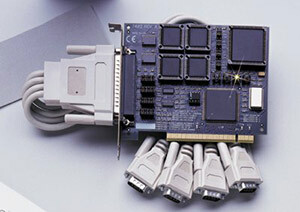 The OMG-ULTRACOMM422-PCI provides four PCI bus RS422/485 Async links for data collection and other devices. In RS485 mode, our auto enable feature enables the RS485 line driver during character transmission and disables it afterward allowing the standard COM: driver to be utilized. The onboard interrupt status port provides maximum Windows flexibility. The OMG-ULTRACOMM422-PCI includes the 16550 UART, providing a 16 byte FIFO to keep your datacom applications running error free. 참고: Comes with complete operator’s manual and serial utility disk.